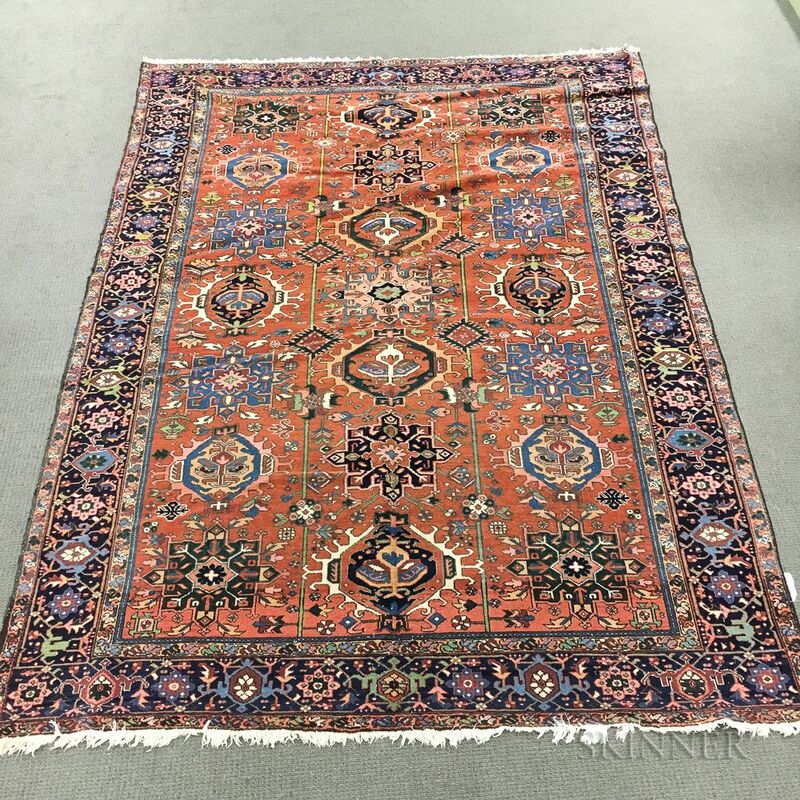 Heriz Carpet, northwestern Iran, c. 1950, 11 ft. 3 in. x 7 ft. 8 in. 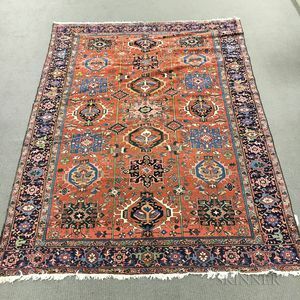 visible knots and even wear throughout, most notably to the center of the carpet, there is fringe wear and loss, and poor wool quality that has been processed, leading to a brittle and dry carpet.